There is a 20% chance that you as an eligible provider may get audited and will be required to substantiate every single measure, eligibility requirement, or even ownership of a certified EHR. Once you assume that a meaningful use audit is probable, the next step is to find ways to prepare for it. Meaningful use audit conducted by the Centers for Medicare & Medicaid Services, or one of its agents, compares the information entered into the attestation system with documentation maintained by the provider. Without proper documentation, medical professionals can lose EHR incentive payments provided as part of the Health Information Exchange program. What Do Auditors Look For? ONC-ATCB Certification Documentation – proof from the Office of the National Coordinator for Health IT that the providers EHR system is certified for meaningful use attestation. By creating a checklist for each category, providers ensure they have all the necessary documentation is one central binder for each annual attestment. The core measures focus on the required objectives for each stage. Screenshot of EHR settings that show active drug-drug and drug-allergy checking during the reporting period. When possible, store an interaction alert audit report, as well. Provide a screenshot from the EHR that shows the clinical decision support rule with any other documentation to prove CDS in use during the entire reporting period. If necessary, contact your vendor audit documentation. In addition to a checklist for core measures, providers should create one for the five menu items selected required complete with audit documentation. You can download a complete copy of a formatted, printable checklist from HealthInfoNet. With the list in place, staff should build a binder book of evidence to support attestment choices to give to reviewers during a meaningful use audit. 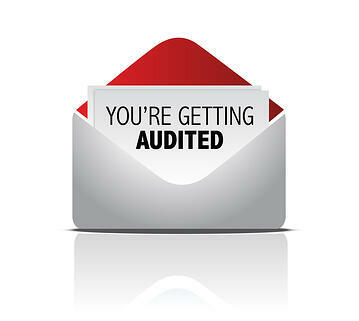 This is the second of a three-part series on meaningful use audits. The first post: Meaningful Use Audit: What Physicians Must Expect from it? is available for review. The next blog will offer a practical survival guide, should you face the auditor. What questions must you ask EHR vendor prior to EHR selection? Why switching to RevenueXL EHR Software makes more sense? What must you bear in mind for smooth transitioning to a new EHR System? What are the challenges faced by small clinics in adopting EHR System? Patient Collections: How can you keep them under control?